Let the Good Times Roll, Let the Fun Begin! Contact Sue Helwege at shelwege@aol.com to schedule an appointment. 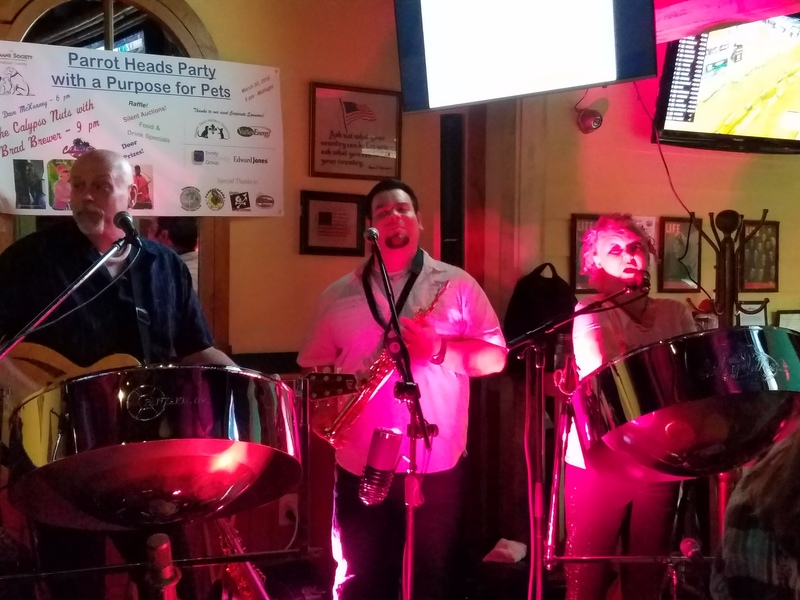 Thanks to everyone who came out for and supported our London County Humane Society fundraiser on Saturday night, March 30, 2019! It was a fantastic time! Annual dues payments can be made via the WAPHC PayPal account by clicking the link below. This includes the dues surcharge of $1.00 when paying dues via PayPal (e.g., $21.00). As the days go by more and more people are getting electricity, connectivity, gas for your cars, etc. However there are many who DON'T have these things, who have lost jobs, and cars and places to live.. Our club BOD is going to be the clearing house for donations of either money, and/or time. You can go to our website, and there is now a link to our online store. Just $25 will help. If you are a person with a chainsaw, backhoe, experience doing cleanup work or putting tarps on people's roof, please reply to me [Jeff Brewer] personally at at president@panamacityphc.org, and I can hook you up with people who need these things. The outpouring of Parrot Head Nation has truly been remarkable for this life changing event. Thank you all so much. The Lone Palm Foundation is the charitable arm of Parrot Heads in Paradise (PHIP), Inc. They are a 501(c)3 non-profit organization designed to further the commitment of Parrot Heads worldwide. We are "Parrot Heads helping Parrot Heads". The purpose of the Emergency Phund is to aid Parrot Heads with financial assistance during difficulties resulting from a natural disaster. The Phund is maintained by the Board of Directors of the Lone Palm Foundation and applications will be reviewed by this board. Assistance approval is based on Board review and availability of funds. >>>MOTM 2019. The 28th Annual Meeting of the Minds 2019, "License to Chill," will be held Wednesday, October 30 - Sunday, November 3, 2019 in Key West, Florida. On Monday, December 17 PHiP's Meeting of the Minds 2019 registration will open at 12:00 noon Eastern Standard Time!! Click here for MOTM information. - The April 2019 edition of the Tradewind Times is now available for download here.